An integrated and development programme for rurban areas of Odisha under Shyama Prasad Mukherji Rurban Mission (SPMRM) – National Rurban Mission is to be implemented soon with the support of both the Central and State Govt. For the purpose, the State Level Empowered Committee (SLEC) Meeting has been formed under the Chairmanship of Chief Secretary Sri Aditya Prasad Padhi. Looking in to the broad outlines of the Mission in the 1st meeting of the SLEC held in the secretariat conference hall today, Sri Padhi advised to prioritize the road, pipe water supply, electricity, street lightening, sanitation , health and housing schemes along with establishment of agro-processing units in the rurban areas of the State in the 1st phase. Sri Padhi added the areas should be planned and developed in clusters with urban features and facilities. Presenting the upcoming programme, Secretary Panchyati Raj Sri Deo Ranjan Kumar Singh said, “the basic objective of the rurban mission is to stimulate economic development, enhance basic services and create well planned rurban localities in the State. 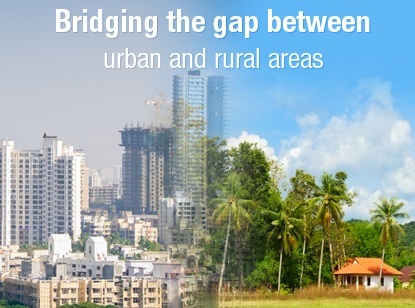 The Mission, launched by the Ministry of Rural Development, Govt of India targets at bridging rural urban divide, reducing poverty through enhanced income generating activities, development of small & medium enterprises and attracting investment in rural areas. The meeting has decided the institutional structure for implementation of the Mission. It will be implemented through a 3-tier structure in the State. These are Cluster Development and Management Unit (CDMU) at cluster level, District Project Monitoring Unit (DPMU) under the chairmanship of Collector and State Level Empowered Committee ( SPMU) under the chairmanship of the Chief Secretary. The SPMU shall have State level Nodal Agency which will be assisted by State Technical support Agency (STPA) and State Project Monitoring Unit (SPMU). At the National Level the Empowered Committee of the National Mission Directorate with its expert group will oversee the programme. Panchayati Raj department has been nominated as the State Nodal Agency ( SNA) for the Mission. The Director, NRLM Sri Pranab Jyoti Nath has been declared as State Mission Leader for monitoring and supervision of SPMRM. IIT, Khdagpur has been taken up as the State Technical Support Agency (STSA) to provide technical support for preparation of action plans, project reports and provide handholding support for implementation of the scheme. Secretary, Panchayati Raj Sri Singh said, “rurban cluster has been conceived a cluster of villages that preserve the essence of rural community with focus on urban facilities. A cluster will be a unit of geographically contiguous villages with a population of about 25,000 to 50,000 in plain & coastal areas. In tribal, hilly and desert areas the cluster will consist of contiguous villages with a population of 5,000 to 15,000. The Mission Director, Sri Nath said that it has been decided to cover 7 clusters including 5 from non-tribal and 2 from tribal areas in the first phase. The Mission will cover other areas of the State in phased manner. Integrated Action Plans will be prepared for each cluster. The fund for the projects will be mobilized through convergence of various central and state sector schemes and critical gap fund from the national rurban mission. Principal Secretary, Energy Sri Rajesh Verma, Principal Secretary Higher Education Sri G.V.V. Sarma, Principal Secretary Industry Sri Sanjeeb Chopra, Principal Secretary ST & SC Development Sri Surendra Kumar along with senior officers from concerned departments participated in deliberations.